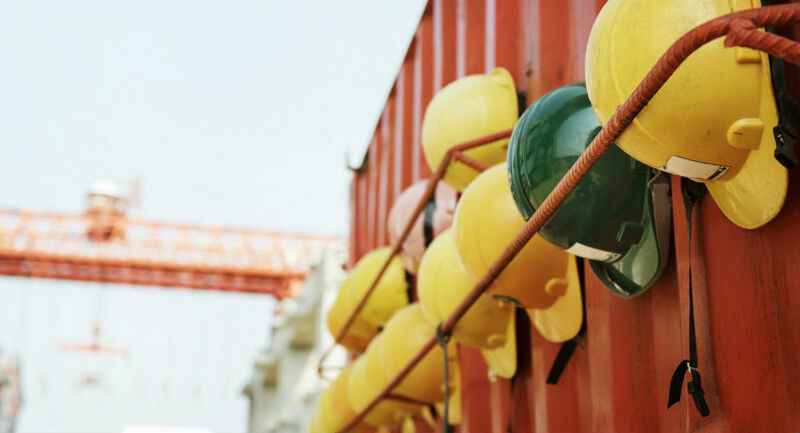 When it comes to safety in the workplace, following a set of guidelines can be a surefire way to make sure your team is staying as safe as possible. Here, we list out a set of five top-level rules that will help keep your whole crew focused on doing their jobs properly. In the race to get to the finish line, it may seem like the perfect solution is to skip a step here and there, if it gets you to the end faster, right? But there’s a problem when you take that approach: You may be able to push something off your plate a little faster and bask in the glory of some kudos at your impressive turnaround time, but at what cost? What impact might those skipped steps, small as they may seem, have on the project down the road? If we’re talking the construction world, even the slightest misstep can be a catalyst for a series of detrimental repercussions. Work quickly and efficiently, but be thorough. Not to sound like an overprotective parent, but: Are you staying up too late at night and heading to work on a half-empty tank? It’s not just that getting the proper amount of sleep is better for your overall health, but when you aren’t fully rested, you can’t think at full capacity, your reaction time slows down, and you become forgetful. All of these can easily lead to dangerous work situations, particularly out in the field. Moral of the story? There’s a simple solution: Get to bed at a decent hour. We’re not talking about the clutter on your desk, here. (Though, as we’ve discussed previously, there are plenty of benefits there.) But when you’re dealing with industrial equipment, tools, or even just warehouse stock, it’s hazardous to yourself and others when things aren’t put where they should be. The last thing anyone wants is an injury because a machine wasn’t properly tended to, or boxes of inventory were haphazardly stacked in a rush. This seems a bit obvious, but it warrants revisiting. If you’re working on a construction site and hardhats are required, wear them. If you’re constantly on the road, obey all the signs and signals. (Yes, even when the light’s yellow but you just know there’s plenty of time to make it through … Don’t.) There’s a reason these rules are in place, and it’s potentially costly and dangerous water to tread when you decide it’s okay to take them lightly. Drop all misconceptions about how it appears when you ask “too many” questions. Of course, when you work in a specific industry, there’s a certain level of knowledge you are expected to have. But if questions arise, and you’re truly confused about the proper course of actions for a task, go ahead and ask for clarification. It’s better to double check and do it the right way than to wing it and face possible issues that could have been avoided. Just by following a few simple rules, you’ll find that not only will production run a lot smoother, regardless of your industry, but you’ll be faced with far fewer accidents in the workplace. The environment you provide for your staff will be significantly safer and, as a direct result, morale will be elevated.